The State Department issued a warning on Monday urging U.S. citizens to avoid traveling to Iran, which has made the detention of Americans a priority. 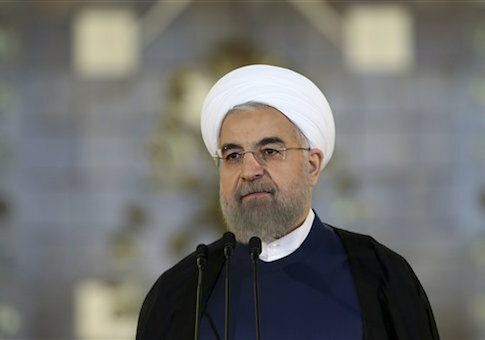 The latest travel advisory, which emphasizes Iran’s desire to capture U.S. citizens, comes on the heels of a growing scandal over the Obama administration’s decision to pay Iran $400 million in cash on the same day that it freed several U.S. hostages. The payment has been cast by lawmakers and others as a ransom payment and prompted concern among U.S. officials that Iran is making arresting Americans a priority. The travel warning is meant to "highlight the risk of arrest and detention of U.S. citizens, particularly dual national Iranian-Americans," according to a State Department announcement on Monday. "Foreigners, in particular dual nationals of Iran and Western countries including the United States, continue to be detained or prevented from leaving Iran." "U.S. citizens traveling to Iran should very carefully weigh the risks of travel and consider postponing their travel," the warning adds. "U.S. citizens residing in Iran should closely follow media reports, monitor local conditions, and evaluate the risks of remaining in the country." Iran continues to imprison Americans, particularly those holding dual Iranian citizenship, according to the State Department. "Iranian authorities have detained and harassed U.S. citizens, particularly those of Iranian origin," the travel warning states. "Former Muslims who have converted to other religions, religious activists, and persons who encourage Muslims to convert are subject to arrest and prosecution." The Obama administration expressed particular concern about commercial airlines doing business with Iran. This warning comes as American companies such as Boeing continue to pursue million-dollar business deals with the Islamic Republic. "The U.S. government is concerned about the risks to civil aircraft operating into, out of, within, or over Iran due to hazards from military activity associated with the conflicts in Iraq and Syria," the warning states. "The FAA has advised U.S. civil aviation to exercise caution when flying into, out of, within, or over the airspace over Iran." The warning emphasizes that "the U.S. government’s ability to assist U.S. citizens in Iran in the event of an emergency is extremely limited."